← Chocolate Chess Pie. Yet Again! 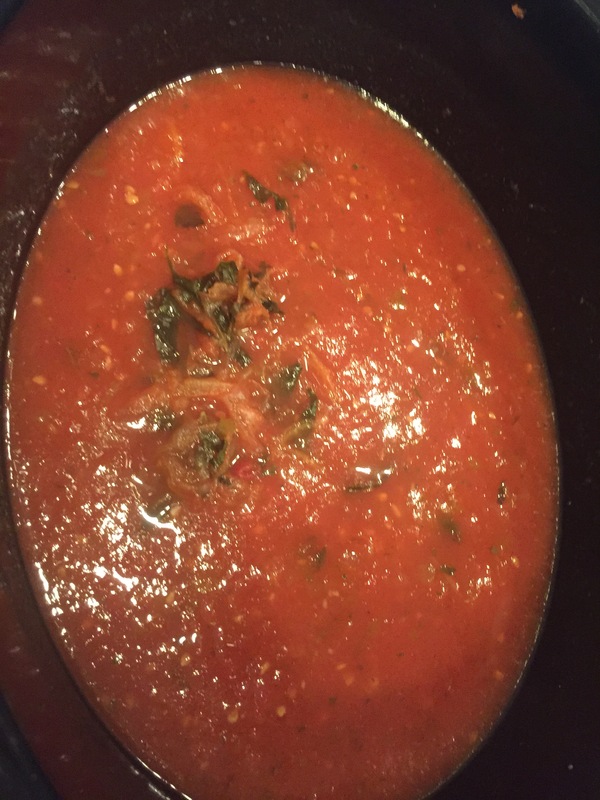 Lots of awesome tomatoes have arrived in my Produce Farmers Direct box in the past few weeks, so I figured I’d make some marinara sauce to use/freeze!! 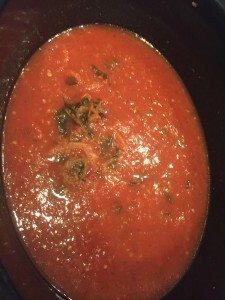 Fill large saucepan with water, deep enough to bring water at least 3/4 up to the tomatoes. Bring to boil. While waiting for water to boil, score each tomato on the bottom with an “X”. When water is boiling, place each tomato into the water, boil for about 30 seconds. turn tomatoes over. Remove from boiling water, place into ice water bath (to keep from over cooking). When cool enough to handle, peel up from each “X” to remove all the peel from each tomato. Seed each tomato and chop roughly. 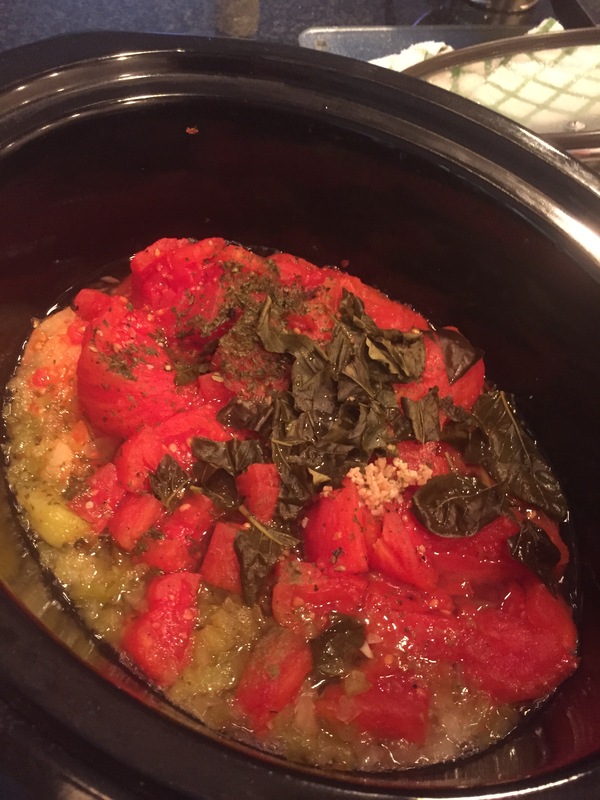 Place all ingredients into crockpot. 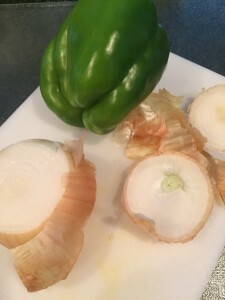 Cook on high for at least 3 hours – the flavors will continue to develop the longer the sauce cooks. I then used the immersion blender to blend all the ingredients to a nice relatively smooth consistency. This freezes well! 🙂 You can use this on a pizza, with pasta, or to top grilled vegetables! This entry was posted in Marinara Sauce and tagged basil, garlic, green pepper, onion, oregano, pepper, salt, thyme, tomatoes. Bookmark the permalink.